We all have our favourite online services. Myself? I can’t go a day without streaming from my Google Play Music playlists, and when I do feel like watching some television I’ll tune into ShowMax. However, if you – like me – grew up in the waning years of physical media, you’re probably quite attached to your own vinyl, CD, and DVD/Blu-Ray collection. During the years when iTunes was a slightly more cumbersome beast, I meticulously curated my CD collection into a digital jukebox of media files – so much so that I still fire up iTunes and enjoy my personal collection around the house rather than turn to my trusty Google Home or Play Music. Streaming services are convenient, and they’re a great option for most consumers. However, they don’t necessarily tick all the right boxes. For one, I feel the biggest pain point is – quite simply put – the fact that most streaming platforms aren’t interoperable; meaning that should you get started with one and then move to another, re-establishing your profile and catalogue must be manually restarted each time. Vendors (understandably) lock their clients into their services; shuttering vast gardens of music and other digital media behind locked doors that are only unlocked by the swipe of a credit card. Just as one solution is to pick a service and stick to it, another is to abandon streaming services altogether and rather curate one’s own media on a device. That, again, comes with the complication of access – the simplicity of each streaming service allows people to access digital media regardless of their device, while platforms such as iTunes are now more or less focussed on touting paid subscription plans than they are beaming music around your home or in-between your devices. The solution? Become your own streaming service – and thanks to NAS drives, it’s not as difficult as you might think. Hold up. What’s a ‘NAS’? I’m glad you asked. Network Attached Storage devices have become slightly obscure in recent years, but they’re still an attractive option for those looking for the ultimate home media set up. Let’s preface the idea this way. Your computer stores files on a hard drive or solid-state (flash) drive, which it retrieves and handles when you go about your business with a Word document, music file, or even a video. Unless you’ve gone through the procedure of opening your computer up to a local network, your files exist in a ‘silo’ and are not typically extendable unless you store them online. Storing files online typically means using someone else’s cloud (say, OneDrive, Google Drive, or iCloud) or sharing them through a peer-to-peer service. The missing ‘link’ in the middle is a storage medium that can reach all of your devices through your home ADSL or Wi-Fi network. That’s where NAS comes into play. A NAS is typically constituted by a hard drive or two, a casing, and a direct input into your home ADSL or fibre router. Essentially, this is a kind of storage platform that is uniquely accessible to all of your smart devices, and laptop or desktop computers. While at home or on the go, you can leverage your home’s internet connection to directly interface, place, or retrieve files on this drive – essentially making it your own personal ‘cloud’. If you’ve ever been able to insert a flash drive into your home router, you’ve toyed with this same concept. Thing is, however, flash drives are typically small and don’t offer the necessary file speeds to play high-definition media. Hence, if you’re looking to set up your own digital jukebox, a NAS is where you should turn to. 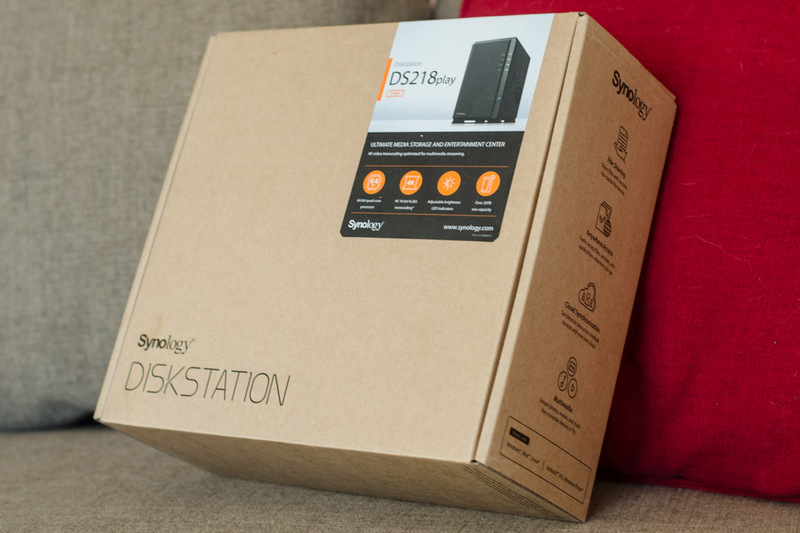 For the past couple of weeks, I’ve been fortunate to have had the opportunity to review the Synology DS218 Play – a NAS operated by the Synology DiskStation Manager (DSM) OS that presents a simple and graphical way to organize one’s digital media. Out of the box, the Synology DS218 Play arrives as a casing with the DSM OS installed from the get-go. A power brick and accompanying screws to close the unit are all included, meaning that one only needs to either purchase or install their own 2.5” or 3.5” drives to power the setup. Once put together, the DS218 Play sits as a compact bay silo that can sit snugly next to one’s ADSL router. Setup is quite simple, as one only needs to visit the OS through an IP address, correctly format their drives, and then determine how they’d best prefer to use their shiny new toy. Fortunately, Synology’s expertise here means that the DS218 Play isn’t just designed to cater for music – the station comes ready with distinct packages through which one can stream or access their media. The DS128 Play’s DSM OS is pleasing, and brings with it a similar interface to what might one expect from Windows devices of yore. That’s a good thing, as I imagine it makes for a comfortable transition for less tech-savvy users. Certain settings are laid out oddly, however – for example, DSM OS doesn’t directly let users tamper with hard disks from its control panel, and instead requires users to install the Storage Manager application to fulfill this task. In terms of software, the DS218Play offers Photo Station, Audio Station, and Video Station – suites where one can manage their photos, music, as well as their favourite TV shows or films. 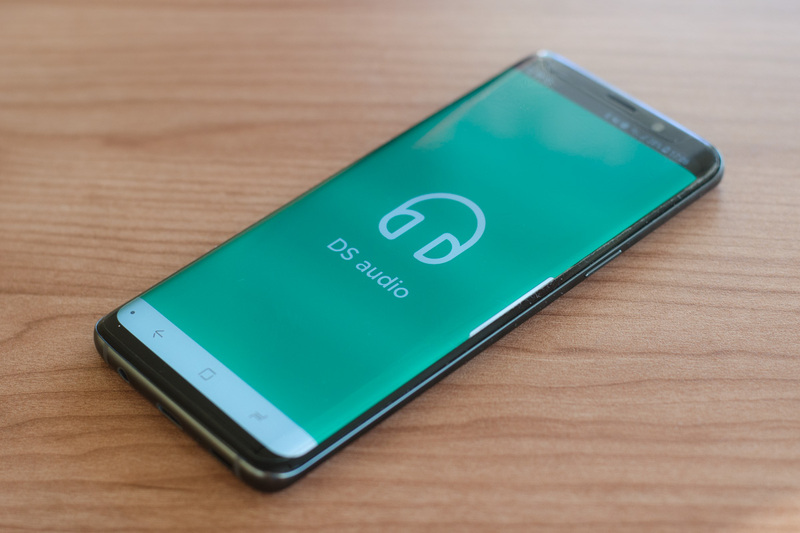 Each suite corresponds with a mobile app found on Android, iOS and Windows Phone – meaning that one doesn’t need to hunt for files within the NAS, and can simply stream media like they would from Google Play Music or ShowMax wherever they are. The benefit, of course, is that consuming one’s own media on the same local network doesn’t incur data charges. The idea extends to media players, PCs, or even to gaming consoles – meaning that it’s quite easy to access a collection of titles and media files on one’s devices around the house. Perhaps my favourite feature was Download Station, which enables users to queue downloads to their NAS remotely. The feature supports BitTorrent, meaning that if you do download media through torrent files (play nicely!) you’ll have a great storage option at hand. The DS218Play also comes with access to a plug-and-play media server to enable other devices to find it on one’s network, as well as features dubbed Hyper Backup and Cloud Station Server which allows one to back up the contents of their PC or Mac. You might expect that the whirring of a hard drive and the intensity of streaming a feature film might cause the DS218Play to become hot under the collar. Far from it – the unit features a 92mm cooling fan which users can tailor to their preference in the DSM that ranges from near-silent, to cool (introducing a subtle noise) or full speed for rapid cooling. During my review, I struggled to find the DS128 Play’s fault point – the unit sat quietly next to my home router, and only when I manually engaged the fan from the DSM did any noise become distracting. The unit itself can become as warm as a conventional PC tower, meaning that placing it in an open space is advantageous so that it can operate in near-silence. With a simple and powerful operating system, superb remote file access, and an easy setup, the Synology DS218Play is a great addition to anyone’s home media setup. If you’re looking to break the stranglehold of your favourite streaming service or want to provide a cutting-edge home for your curated media, this is an excellent NAS to go for. Disclosure: I was allowed to keep the DS218Play after my review.